All-wheel-drive models are likely to have limited availability in areas that don't experience inclement weather. The 2016 Lexus RC adds more low-end models, but it's still the racy RC F that comes closes to the Teutonic performance titans. The Lexus RC is designed to compete with established luxury-brand sport coupes such as the BMW 4-Series, Audi A5, and Mercedes-Benz C-Class. 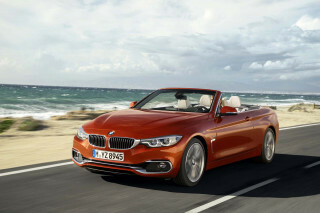 And it comes closer to the mark than any of the Japanese automaker's previous coupe-convertible challengers ever did. Lexus has expanded the RC lineup with a pair of new models. 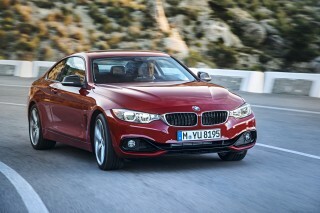 The RC 200t becomes the base model, with a turbocharged four-cylinder engine and rear-wheel drive. The all-wheel-drive RC 300—powered by a V-6—now fills a mid-range position. Above this, the RC 350 and RC F carry over for 2016. 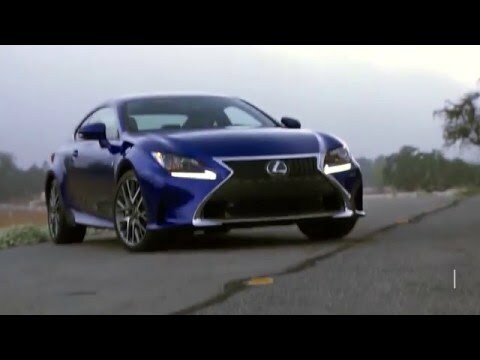 A sinister-looking rendition of the Lexus hourglass is in place on the RC's nose, supercharged with visual drama on F Sport and RC F coupes with a mesh made of a thousand Fs. (You'll have to look close, like in an Escher print.) The sideview's graceful even if the roofline is a bit thick, and the shoulder line lifts at a pretty point on the rear quarters. The RC is precisely what the upmarket sibling to a Scion FR-S should look like. Inside, the horizontal theme of the latest Lexus vehicles is in place, with the same adventurous idea and some of the same foibles, like the Remote Touch control pad and some off-center, oddly stacked components. The RC 200t comes with better fuel economy and an attractive starting price in the low $40,000s, but there are some trade-offs. It's not exactly fast—getting to 60 mph takes 7.3 seconds—and while power is generally reasonable once underway, there's significant lag under full throttle. We haven't yet driven the RC 300, which pairs a 255-horsepower V-6 with a 6-speed automatic; acceleration time drops to 6.3 seconds—along with fuel economy. Grunting noises from the 306-hp V-6 in the RC 350 are mostly good—it's a vee, not an inline, after all. Coupled to an 8-speed automatic, a whole host of adaptive controls for transmission, throttle, and steering, it's a nicely balanced luxury coupe with few rough edges to its performance contours. Add in an F Sport package, and the adaptive controls get more aggressive tuning, the ride quality firms up well within the margins of tolerability, and the whole driving experience elevates itself into a Germanic ballpark Lexus only has really played in with the bigger GS F Sport. We're not convinced by the variable-ratio and rear-steering add-ons, but the adaptive dampers? Sold. Like other RCs, the the RC F has an 8-speed automatic with paddle shifters and Eco, Normal, Sport, and Sport+ modes. In manual mode, it will cut shift times and hold gears even at redline. Setting it apart from lesser RCs are Michelin Pilot Super Sport tires, a Torsen limited-slip differential, and reprogrammed stability control that can be turned off at the track. An optional torque-vectoring differential lets electric motors determine how power shifts side to side in at-the-limit maneuvers: it's impressive, but might not be any better than the standard Torsen. With its firmed-up bushings and roll bars and bigger Brembo brakes, the RC F punches into a happy, composed demeanor on the track. It hasn't yet equaled the M4, but it can be discussed in the same breath. The RC's interior is fitted to a good standard. It's a spacious car for two passengers, and the array of front-seat choices in different models is uniformly great. In F Sports and RC Fs, the seats get almost anthropomorphic stitching that mimics human muscles. More important, the seats are wide and supple enough to support a really wide range of body types. Don't think of the back seats as anything else than a beautifully upholstered parcel shelf; folding them down provides access to the trunk in all models except the RC F.
The NHTSA hasn't crash-tested the RC. 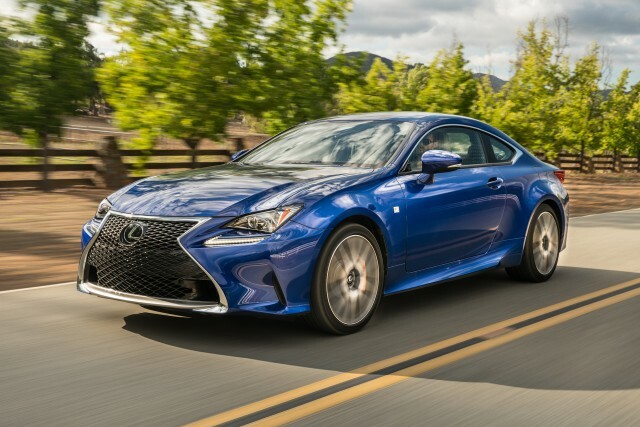 The IIHS, however, rates the Lexus RC as a Top Safety Pick+ with top "Good" marks across the board and an "Advanced" rating for front crash protection with optional equipment. The RC comes with eight standard airbags and stability control. A rearview camera is standard on most models. The stability control can be dialed down for more entertaining driving. 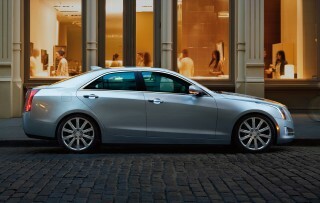 And the RC offers a forward-collision warning system that's connected with available adaptive cruise control. The same sensors alert on an impending collision; at low speeds, RCs equipped with the system will apply their own brakes in an effort to avoid the accident entirely. Prices for the RC start in the low $40,000s for an RC 200t and rise to the mid-$60,000s for an RC F. Standard features include leatherette seating; automatic climate control; LED headlamps and taillights; USB ports; Bluetooth audio streaming; and satellite radio. Major options include 19-inch wheels on summer tires; heated and ventilated front seats; park assist; a sunroof; navigation; power tilt/telescope steering wheel; a 17-speaker Mark Levinson audio system; and leather upholstery. For about $5,000, the F Sport package bundles 19-inch wheels and tires; the adaptive suspension; sport suspension, seats, and stability control; digital gauges; and on rear-drive F Sports, variable gear-ratio and rear-wheel steering. For fuel economy, the best of the bunch is the RC 200t, with a turbocharged 4-cylinder that gets 22 mpg city, 32 highway, 26 combined, according to the EPA. On the other end of the spectrum, the RC F manages 16/25/19 mpg, which is not bad considering the RC F's portly 3,958 pounds and performance-minded pedigree. The Lexus RC is an appealingly designed sport coupe—albeit one with a controversial spindle grille. Despite their various powertrains and suspensions, all Lexus RC models share exterior design that seems to borrow from other models in the Lexus lineup. We see a bit of the GS in its nose, the outgoing IS C in its profile, and the IS in its tail. The coupe body looks graceful and curvaceous from any angle, with a handsome roofline and a pleasing kick as the shoulder line meets the rear fenders. Squint and its proportions may resemble and upscale Scion FR-S, though the RC's surfacing is far more interesting. The RC's spindle grille looks more sinister than it does on other Lexus models, but that suits its more aggressive intentions. Base RCs are a bit more subtle about it with slatting that downplays the grille's hourglass shape. The F Sport and RC F, however, indulge in the drama of mesh—on the RC F the design of the mesh looks like hundreds of letter Fs. The RC F features a few other stylistic departures. At the rear, for instance, finned vents break up the pretty, and stacked exhaust outlets add a touch of mean. There's also a speed-activated wing that lifts at 50 mph—or, in track mode, at 80 mph. Inside, the cockpit is divided into operational and display zones. The upper zone houses the instrument panel and a 7.0-inch navigation screen while a layered center console integrates a touchpad-driven Remote Touch interface. The steering wheel is slightly elliptical, the high-backed seats are stitched elaborately. Those conflicting themes don't coordinate as well as they could. For all its resemblance to high-end audio, the center stack rides over the curved console frame in an inelegant way. There's no trim line to continue the horizon line of vents across the passenger space. Base RC coupes are pleasant performers, and the RC-F is a legitimate track-ready competitor. For 2016, buyers get additional drivetrain options with two new RC models that slot below last year's RC 350 in the mainstream lineup. The base coupe is now the RC 200t, powered by a turbocharged 2.0-liter inline-4 that's also being introduced in IS and GS sedans this year. 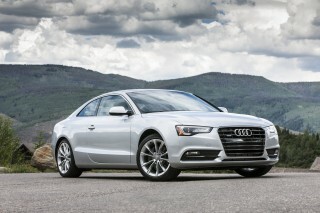 It makes 241 horsepower and 258 pound-feet of torque, all sent to the rear wheels by an 8-speed automatic transmission. It's not exactly fast—reaching 60 mph takes 7.3 seconds—but feels reasonably strong once underway. You'll need an F Sport in Sport+ mode, though, to avoid significant lag in response to a floored gas pedal. The new mid-range RC 300 comes only with 30/70 rear-biased all-wheel drive and an older 6-speed transmission mated to 3.5-liter V-6 that produces 255 hp and 236 lb-ft of torque. We haven't yet had the chance to drive one, but Lexus says 0 to 60 mph acceleration drops to 6.3 seconds. The RC 350 continues unchanged from last year with a 306-hp 3.5-liter V-6 and 277 lb-ft of torque. Like other V-6 engines of its era—whether from Nissan, Ford, or Mercedes-Benz—it exhibits some coarse growl; but this is largely muted by a decent amount of sound deadening. It's available with rear-wheel drive and an 8-speed automatic or all-wheel drive and a 6-speed automatic; the former gets to 60 mph in 5.8 seconds, the latter in 6 seconds. 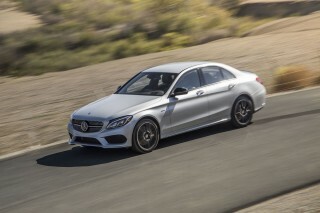 Top speeds are 143 mph and 130 mph, respectively (tire-limited on the AWD version). The 8-speed transmission offers normal, sport, and manual shift modes to go with paddle controls; a predictive shift logic blips the throttle to smooth shifts. G-sensors in Sport mode place gear changes more dynamically—in corners, it will downshift for a better exit gear, for example. Separately, there's a Drive Mode Select feature that gives the driver control over steering assist, climate control, and throttle response through Normal, Sport, and Eco modes. 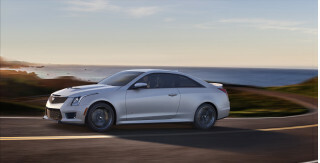 Like closely related IS and GS sedans, RC coupes feature a double-wishbone front suspension and multi-link rear setup tuned just slightly on the firm side. Drivers should find that it's compliant enough for everyday driving. 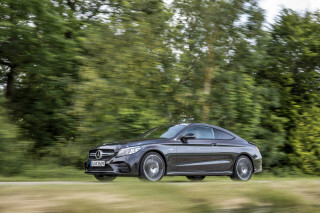 While it may be slightly too underdamped on curving country roads, it hits the right balance of ride and handling for a pure luxury coupe. Even the electric steering feels settled and acceptably quick. An F Sport package upgrades handling with adaptive dampers; a sport-tuned suspension; 19-inch wheels; a Sport+ drive mode; and sport-tuned stability control. 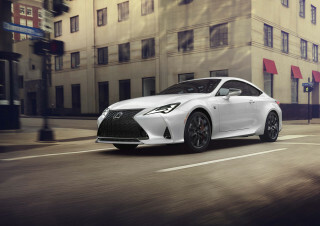 Optional for rear-wheel drive RC 350s with the F Sport package is variable-gear-ratio steering that changes ratio according to speed and yaw, and a couple of degrees of rear-wheel steering in Sport+ mode to amplify steering inputs at speeds of up to 50 mph. The Lexus RC encourages swift jaunts along favorite roads. We're not convinced of the absolute benefits of the variable steering controls, since the base car acquits itself well with summer tires, but the adaptive dampers and drive-mode selectors give the RC a wider latitude in driving attitudes that's on par with similar systems from BMW and Audi. The dampers especially give the F Sport a firmer ride than the standard car, but don't destroy its well-sorted ride quality when cranked into its more intense settings. Front seats are very comfortable, though the rear seat should be treated as a parcel shelf. The Lexus RC is almost three inches shorter than the IS sedan, but more than an inch wider. With its exterior dimensions, the RC is close in size to everything from the BMW 4-Series to the Audi A5 and Cadillac ATS coupe. The design for low-slung bucket seats is one of the best we've seen from Lexus, with plenty of support provided from high-density foam and stitching that mimics musculature. There's even more stitching with the F Sport package, or in the RC-F. There are big bolsters and shoulder wings, but also generous width to accommodate a variety of body types. Standard tilt-and-telescope steering makes it easier to find a good position for drivers of all sizes. Front-seat passengers have good space—and should in a luxury coupe that weighs in at nearly 4,000 pounds even with an optional carbon-fiber reinforced plastic roof and rear wing and a dose of high-strength steel. The padded center console enhances comfort on long-distance drives. Don't think of rear seats as anything more than nicely upholstered shelves; they'll split and fold in all models except for the RC-F. Trunk space is rather meager at 10.4 cubic feet, but should still accommodate a pair of golf bags—just. As does the related IS sedan, the RC shows how Lexus is learning to build out more exciting cabins to a higher standard. While their predecessors were well put-together, the most recent versions shed the drab look, with nicely coordinated colors and trims, very comfortable front seats, and a dual-tier dash layout that's both functional and very attractive. We don't care for the way some console pieces intersect—the way the audio system sits out of line with the console trim, or the offset of the console's LCD screen—but we'll chalk those up to design decisions with which we don't agree. The Lexus RC earns a coveted Top Safety Pick+ from the IIHS. The Lexus RC earns a Top Safety Pick+ designation from the IIHS with top "Good" ratings across the board: small overlap, moderate overlap, side, roof strength, and head restraints and seats. With optional equipment, it gets an "Advanced" rating for front crash protection. The NHTSA hasn't crash-tested the Lexus RC. The RC lineup has the latest safety technology to go with eight standard airbags and stability control. A rearview camera is standard on most models, and while it does mitigate generally dismal rearward visibility, its display on a 7.0-inch screen surrounded by a large frame of black looks as if it's waiting to be swapped out for a 12-inch display. Hill-start assist is standard on all RCs, and traction systems integrate with both transmissions—6- and 8-speed automatics—to deliver better response in slippery conditions. On F Sport and RC F models, drivers can adjust stability control for ideal intervention levels on the road or track. The RC offers a forward-collision warning system that's connected with available adaptive cruise control. The same sensors alert on an impending collision; at low speeds, RCs equipped with the system will apply their own brakes in an effort to avoid the accident entirely. Blind-spot monitors and rear cross-traffic alerts are optional. A bevy of desirable features are let down only by a fiddly touchpad controller for the infotainment system. With a starting price just north of $40,000, the Lexus RC is equipped like most entry-level coupes in the luxury segment. You'll find standard features such as leatherette upholstery; heated front seats; automatic climate control; Bluetooth; cruise control; Siri Eyes Free; a manual tilt-and-telescoping steering wheel; and an audio system with satellite and HD radio. Most RCs on dealer lots will have one or more option packages. The Luxury Package includes leather upholstery, heated and ventilated front seats, a power-adjustable steering wheel, rain-sensing wipers, and a blind-spot monitor. 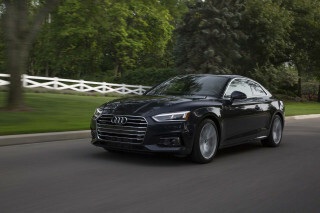 There are also Premium and All-Weather Packages, and a variety of stand-alone options like navigation, a Mark Levinson stereo, a moonroof, and a forward-collision warning system with adaptive cruise control. The optional Lexus Enform infotainment system at least ditches its mouse in this iteration for a Remote Touch input pad that allows swipes, pinches, zooms, and other now-customary gestures. It still feels out of sync with what's on the screen, and the screen could use an artistic redesign more fitting with the Lexus brand. Base cars without the system use a roller controller to control the audio and phone functions, and are if anything, more maddening. For around $5,000, the F Sport package bundles an adaptive suspension; 19-inch wheels with summer or all-season tires; a sport suspension; sport seats; heated and ventilated front seats; digital gauges; a heated steering wheel; sport-tuned stability control; and on rear-drive F Sports, variable-gear-ratio steering. As for luxury fittings on the track-ready RC F, leather is an option. So are ventilated seats, the speed-sensing rear spoiler, blind-spot monitors, and navigation, as well as the Mark Levinson sound system. All of this can drive its price to nearly $70,000. The turbo-4 RC 200t is the most fuel-efficient in a somewhat thirsty model lineup. Fuel economy isn't a particularly strong point for the Lexus RC. The best of the bunch is the RC 200t, with a turbocharged four-cylinder that gets 22 mpg city, 32 highway, 26 combined, according to the EPA. That number falls to 19/26/21 mpg for the RC 300, which is only offered in all-wheel drive. With its 8-speed automatic, the more powerful rear-wheel drive RC 350 is actually a bit more efficient at 19/28/22 mpg; the all-wheel drive RC 350 drops back down to 19/26/21 mpg. EPA-rated fuel economy for the RC F is 16/25/19 mpg, which is not bad considering the RC F's portly 3,958 pounds, versus the M4’s 3,585-lb curb weight. Looking for a different year of the Lexus RC?